There's an exciting new artist on the country music scene and her name is Alexa Spierling. She is from Michigan, but has performed concerts here, in Nashville at the Silver Dollar, and elsewhere. Her musical style is similar to that of Jewel or Taylor Swift. I love her song "Playing Pretend." It's a smooth classic country ballad that's a lot of fun to listen to. Of course, while she is a great country musician, one of the reasons why I'm so excited to highlight her here as part of my Friday Focus series is that her mother, Angela Adams Spierling, grew up in the Warrendale neighborhood in Detroit and graduated from Ss. Peter and Paul Grade School. While Alexa herself has grown up in South Lyon, I think it's cool that there's still that connection between Warrendale and her. 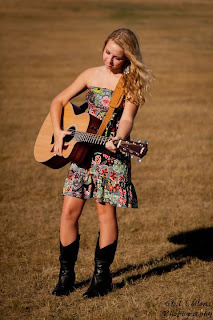 For more on Alexa Spierling, to hear some of her music, or to learn about her upcoming concerts, please check out her Facebook page, watch her YouTube channel, or follow her on Twitter. She is also on Reverb Nation. Each of these sites have links to her music.